China's tallest building, a 127-story super skyscraper in downtown Shanghai costing 14.8 billion yuan ($2.28 billion) to build, opened its first doors to the public on Wednesday. The opening ceremony for the Shanghai Tower's basement, which will house an exhibition on skyscrapers, and a five-story annex signify the upcoming completion of a building that has taken nearly eight years to complete. At 632 meters, it is the world's second-tallest building, after the 828-meter Burj Khalifa in Dubai. The Shanghai Tower will house offices, a hotel, museum and art gallery, and will be a venue for conferences and exhibitions. "Tens of thousands of people are expected to work, visit and shop in the building when it is fully open," said Jian Danian, deputy head of Shanghai's Pudong New District. Ge Qing, deputy general manager of Shanghai Tower Construction and Development Co, the building's owner and developer, said an observation deck on the 119th floor will open in a few months, ahead of the building's official opening later this year. The world's fastest elevators, which can travel at speeds of more than 18 meters per second, will carry tourists to the observation deck in less than 55 seconds. Ticket prices for the deck, which will provide a bird's-eye view of the city, have yet to be set, Ge said. The building's five-story annex is designed for conferences. The Shanghai Tower will also house China's highest restaurant on the 120th floor, the highest hotel lobby on the 101st floor, and the highest swimming pool, with a view from the 84th floor. More than 20,000 pieces of glass covering 220,000 square meters were used on the building's exterior. It is the tallest green building in the country. The energy automation system has a real-time electricity consumption monitoring function that can save up to 10 percent of total energy use. 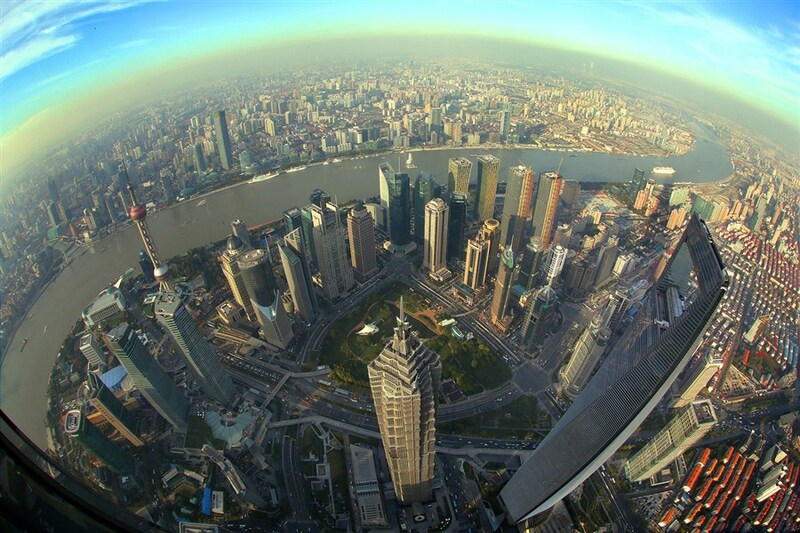 The building is the latest among a cluster of super skyscrapers in the city's Lujiazui Financial Area, which also houses the 468-meter Oriental Pearl Television Tower, the 421-meter Jin Mao Tower and 492-meter Shanghai World Financial Center. China's tallest building, a 127-story super skyscraper in downtown Shanghai costing US$2.28 billion to build, opened its first doors to the public Wednesday.